Every summer PAAM members sell their artwork and raise funds for PAAM in the 12×12 silent auction. 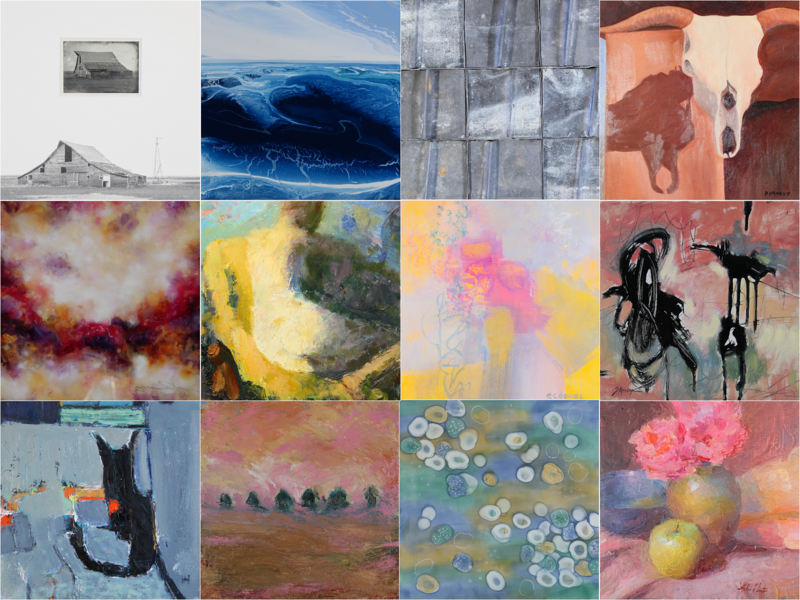 With 307 submissions, the 12×12 exhibition is a significant fundraiser for PAAM and one of the best ways for artist members to get their work noticed. All pieces have a starting bid of $125, and climb by demand until the final minutes of the exhibition. Artist-members sell their work at 50% commission, winning bidders get wonderful artworks, and PAAM gets 50% commission, or 100% if the artists donate to PAAM. It’s a win-win-win! Click the teal “Bid Now” button. Beside “Register for the Auction,” change the quantity from “0” to “1”–this registers you for a $5 paddle. Fill out the “Purchaser Information” and “Payment Information,” just like what you used to have to do at the Front Desk. Click on a piece that you like, and click the blue “Bid” button. Remember, all bids are final!